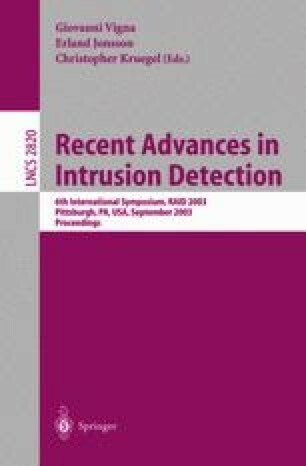 The DARPA/MIT Lincoln Laboratory off-line intrusion detection evaluation data set is the most widely used public benchmark for testing intrusion detection systems. Our investigation of the 1999 background network traffic suggests the presence of simulation artifacts that would lead to overoptimistic evaluation of network anomaly detection systems. The effect can be mitigated without knowledge of specific artifacts by mixing real traffic into the simulation, although the method requires that both the system and the real traffic be analyzed and possibly modified to ensure that the system does not model the simulated traffic independently of the real traffic.